Diffusion pump articles provides guidance and review about different types, qualities, durabilities, and prices. This pump uses the vapor molecules to remove the air or the gas molecules present in the chamber. Diffusion pumps work on the diffusion principle. Diffusion is the process of moving the gas molecules from one chamber to other by heating and cooling of the vapor. In other words, diffusion turns a chamber with a high concentration of air particles into a lower concentration of air particles. Diffusion pumps are used for creating high vacuum condition. This pump traps the fluids with the help of vapor and removes them. They are also called as fluid entrainment pump. The movement of fluid molecules in the diffusion pump depends on the temperature, viscosity and the size of the particles. These pumps can produce a highly effective vacuum of the pressure range of about 10−10 to 10−2 mbar. They can also work in the conditions where the gases with excess particles. This pump works on the principle of diffusion where vapor molecules are used to trap and remove the gas molecules. First, the vapor molecules are heated and injected into the chamber where the vacuum needs to be created or the gas molecules are to be pumped out. These vapor molecules react with the gas molecules and capture them. The vapor molecules gain mass and move down due to the gravitational force. They flow through the series of coolers attached to the sides of the chamber wall. While cooling, the vapor and the gas molecules are separated. The gas molecules are collected in a separate chamber. The cooled vapor molecules are again heated using heater present at the bottom and injected into the chamber. It continues as a cycle and the process is repeated until the gas molecules are removed from the chamber. Usually, the injector is kept at the center of the pump so they are not affected by the coolers present at the sidewalls of the chamber. The vapor of the fluid used in this process is called as diffusion pump fluid. And the diffusion pump fluid must consist of the following properties for the efficient functioning. Relatively safe from the toxic substances. Nowadays, silicone oil or polyphenol ether are used as the diffusion pump fluids. They should not be exposed to the air in hot conditions. One of the main limitation of this pump is the back stream of oil into the vacuum chamber. Small amounts of back streaming do not cause any concerns. But when we need the gas molecules in a highly pure state these back streamed oil molecules cause damage. So we have to remove the oil with the help of the cold traps, baffle or a liquid nitrogen cryotrap. These pumps are not suitable for semiconductor applications as they require the purest form of the gases. Decomposition gases are highly toxic so proper precaution measures must be taken. This pump mainly finds their applications in the industries and laboratories. Here let us have a look at them. They are used in the analytical instrumentation, nanotechnology, mass spectrometry for various research and development purposes. They are used as primary vacuum pumps in the industries due to their ability to produce a high vacuum. They are used in the vacuum coating and sputtering process. They are used in various metallurgical processes such as the vacuum melting, drying and in vacuum furnaces also. Used to move components with the suction cups and vacuum lines in factories supply lines, robotic arms, etc. They are used in the vacuum distillation and freeze drying processes. These pumps do not find themselves in our domestic and household applications. But they are found predominantly in industries and labs applications. Some of the companies that produce these pumps are Kurt.J. Leskar Company, Agilent Technologies, Vaccubrand, Hind high vacuum Pvt. Ltd. and Leybold Vacuums. 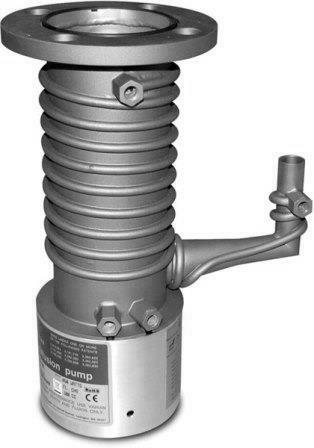 These pumps are priced around 1000$ to 10000$ based on their application and vacuum range. And diffusion oils are sold separately. Diffusion oils must be changed periodically in our pumps for smooth and continuous operation. They cost from prices from 50$ to higher range of 500$.